Growing potatoes, especially the ones we grow is challenging work. For example, it’s difficult to predict how new varieties will develop and what their needs are. Thanks to many years of experience, we fortunately know how to handle this. While the agricultural sector mainly focuses on the quantity of potatoes it produces from a hectare of land, our focus is primarily on taste, quality and distinctiveness. We pay a lot of attention to things such as soil structure, (skin) quality, shelf life and homogeneity. Also, when storing, washing, packing and transporting our taste potatoes, we ensure that the potatoes retain their quality for as long as possible. By minimizing our use of plant protection products and fertilizers we focus on sustainable crop production. We also rotate our crops since each crop has its own specific requirements. Apart from delicacy potatoes we also grow sugar beet, various cereals, celeriac and sprouts on our lands. 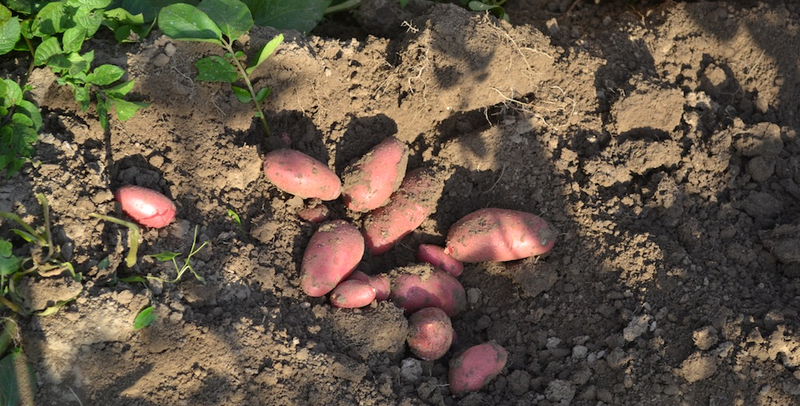 For more information about the cultivation of our delicacy potatoes, please contact us. Growing rice requires 5 times as much water as growing potatoes.